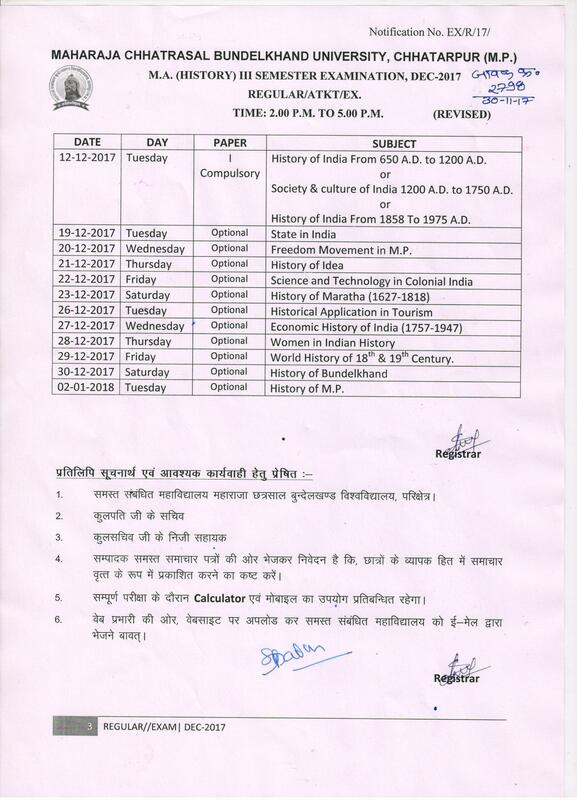 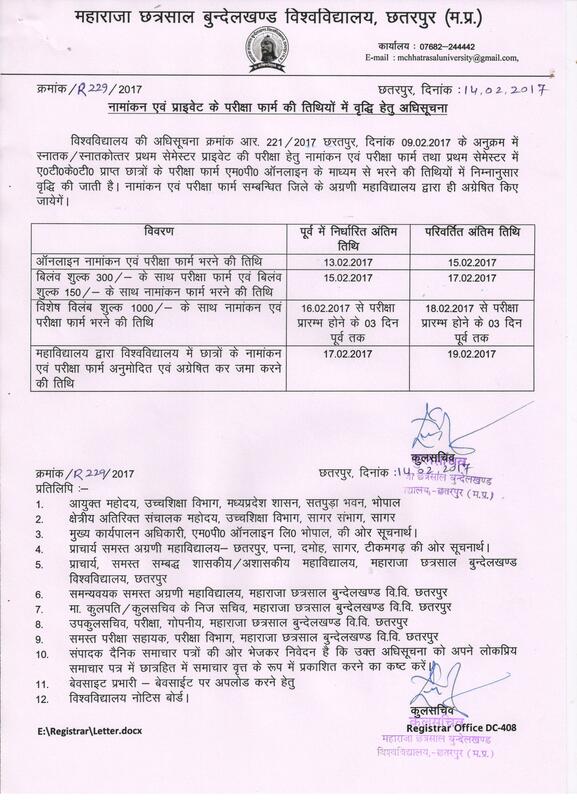 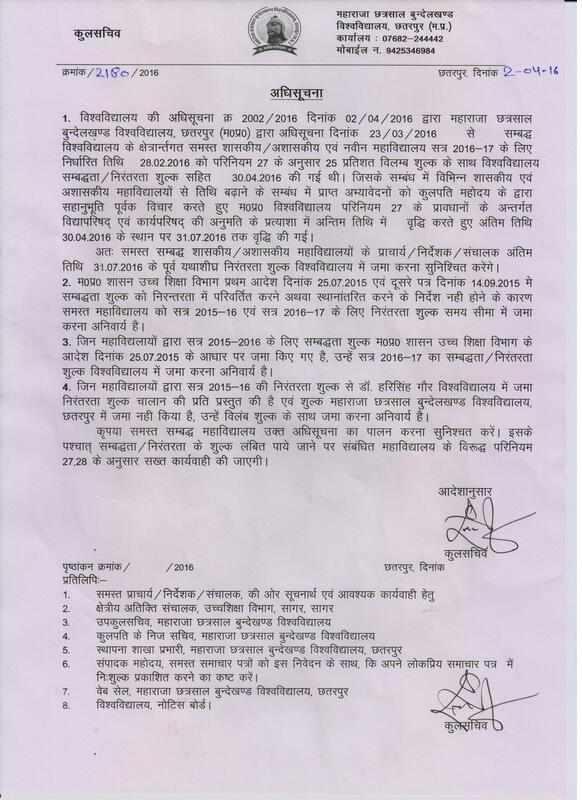 17 Nov 2015 Revised Notification the exams ug/pg/b.ed/b.ped/m.ed Examination form filling date is extended to 22/11/2015 without late fees and 24/11/2015 with late fees. 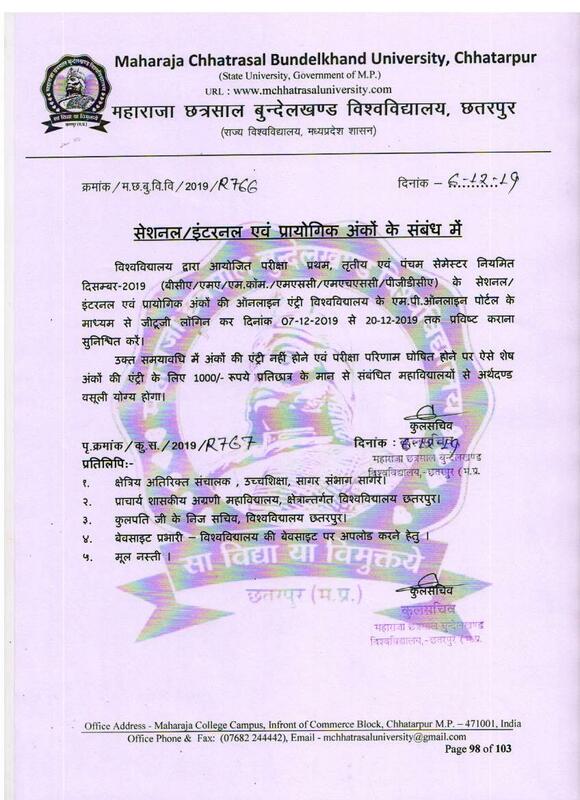 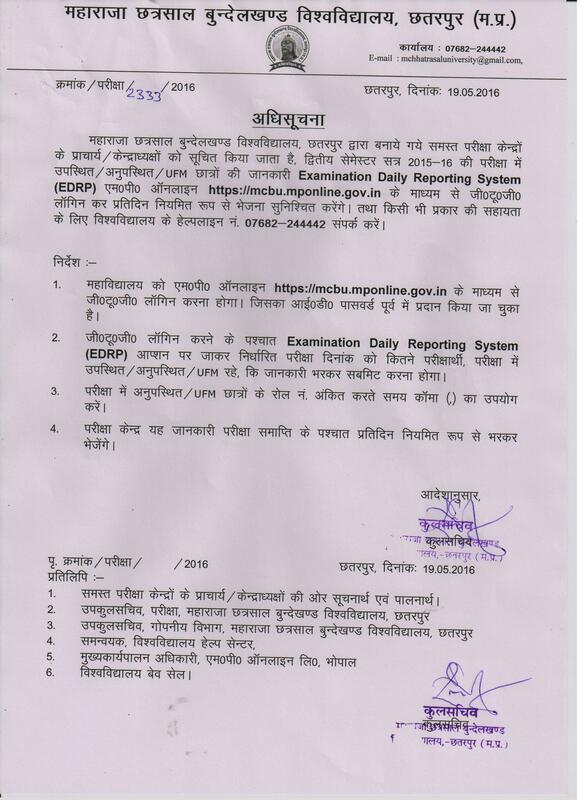 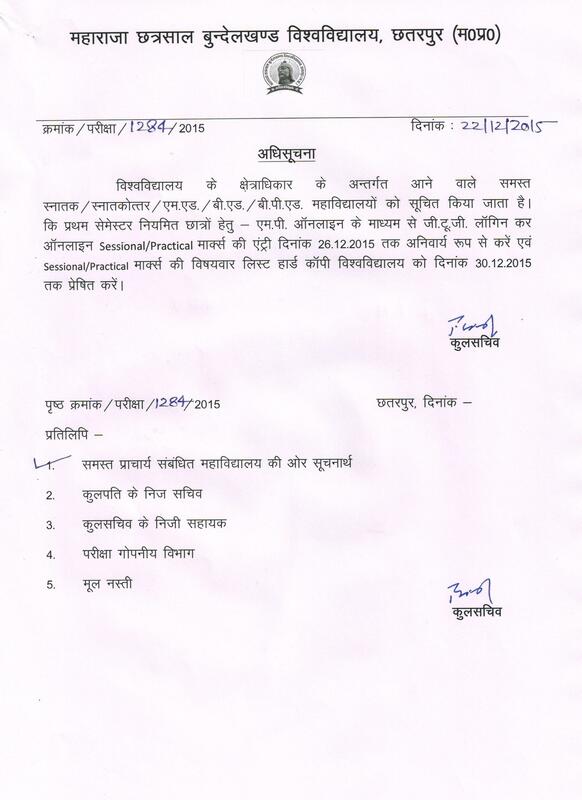 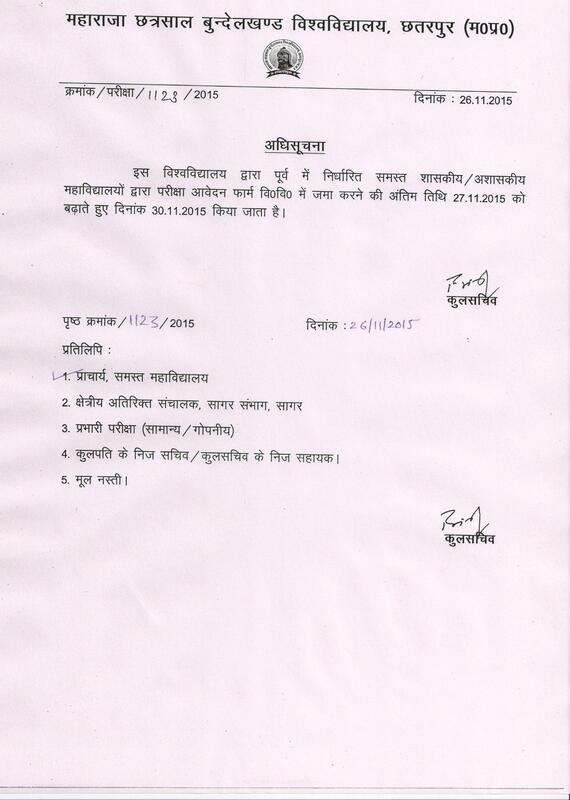 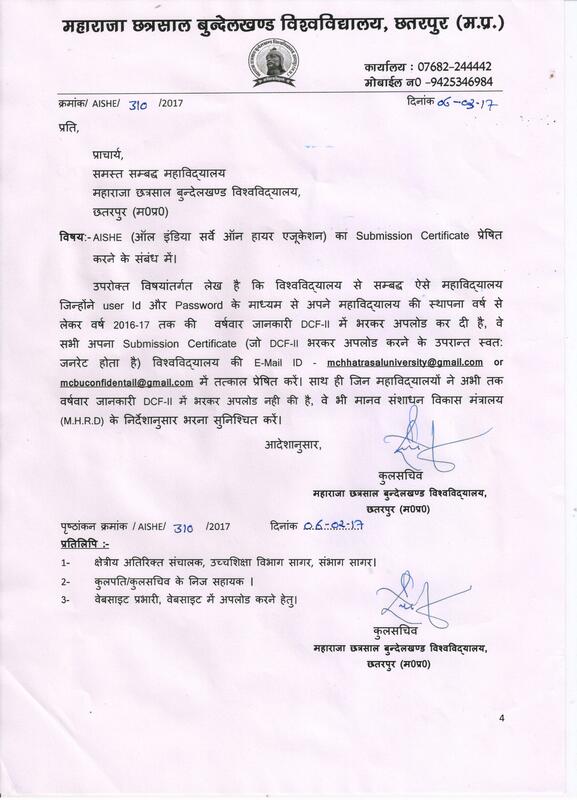 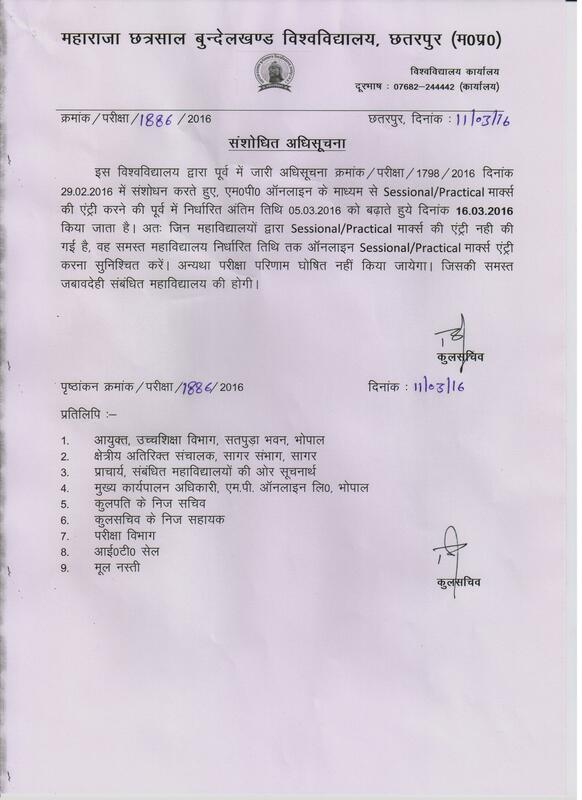 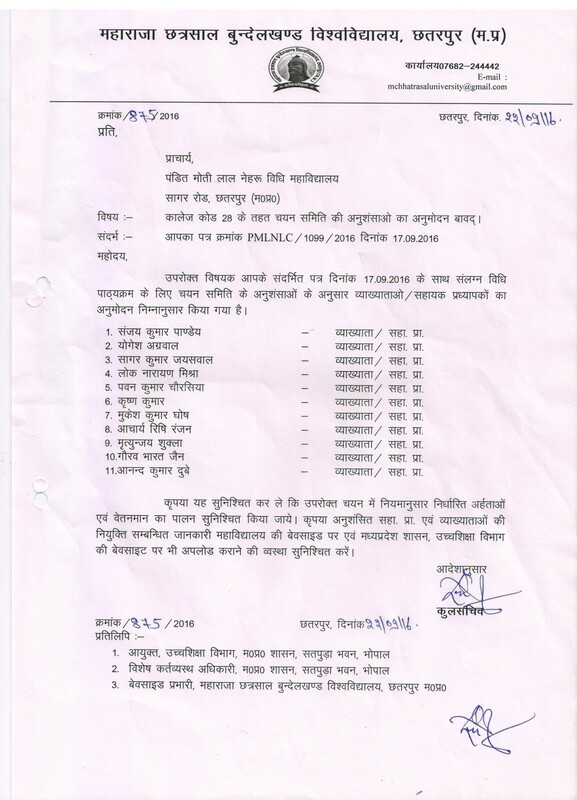 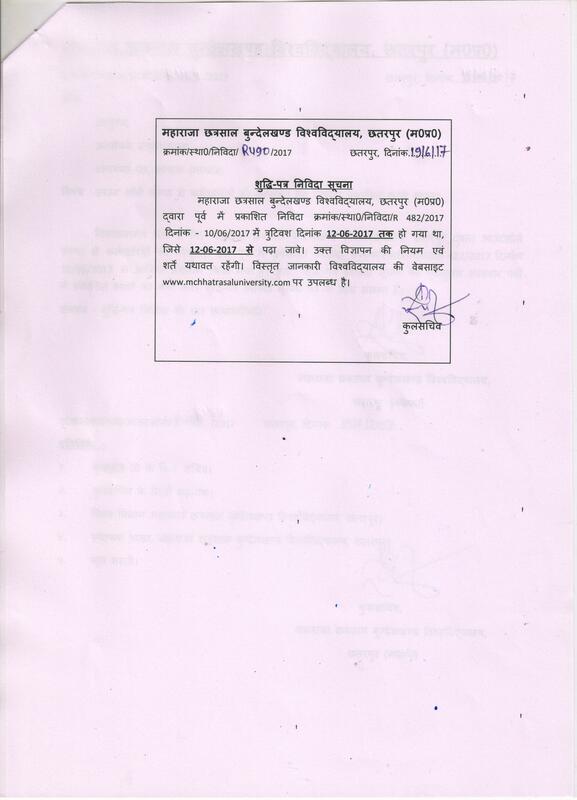 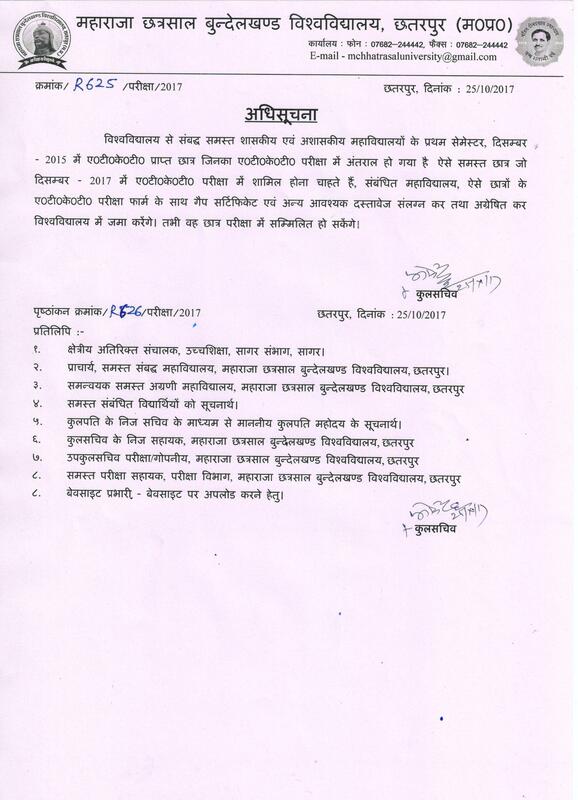 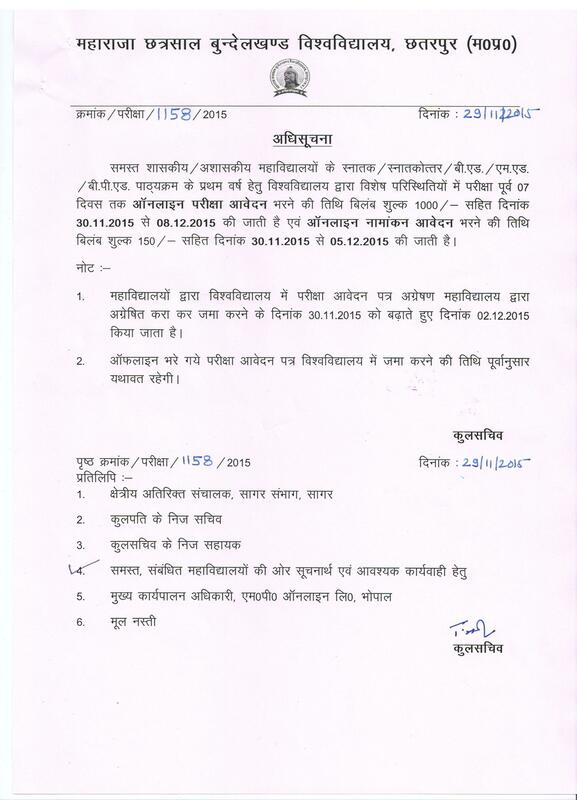 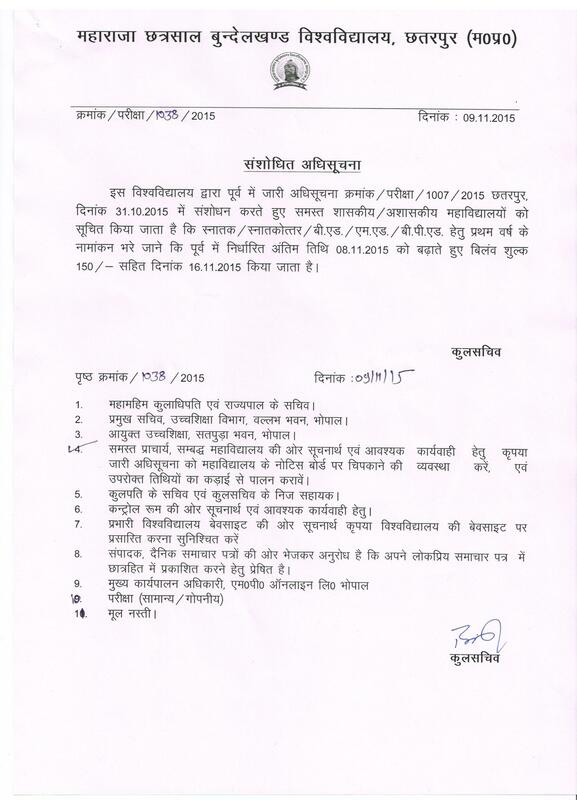 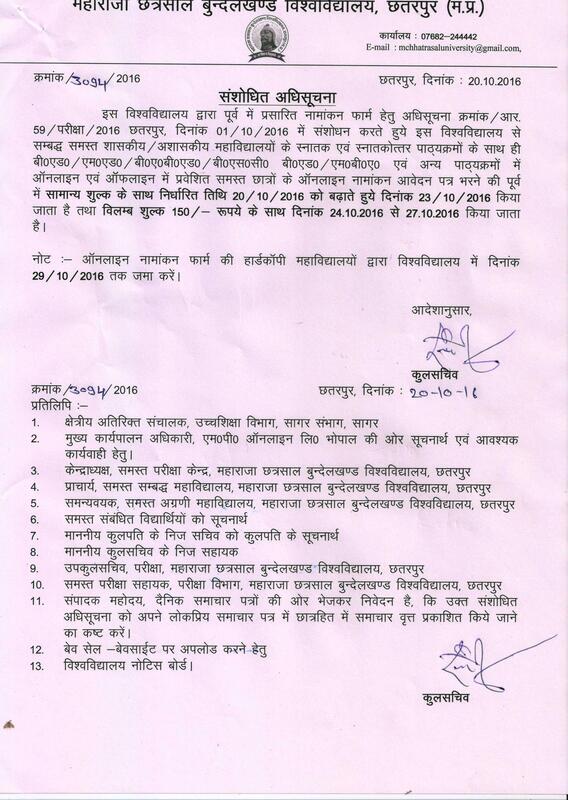 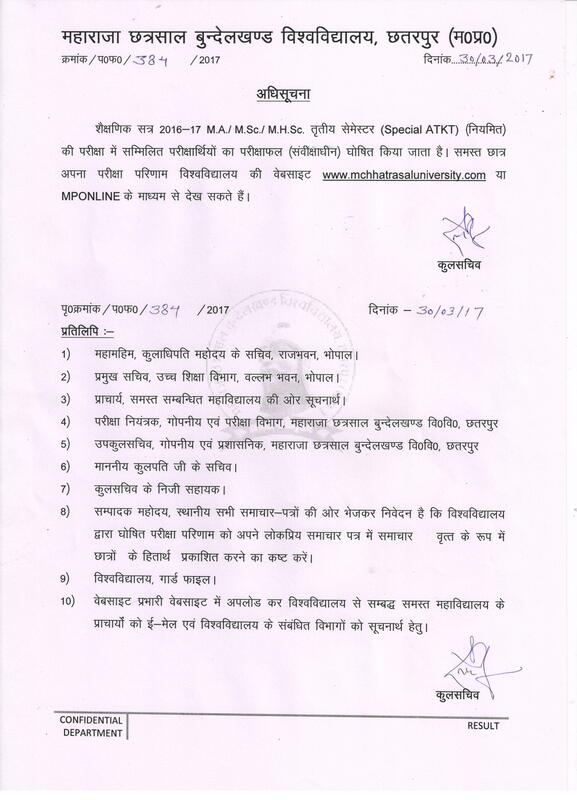 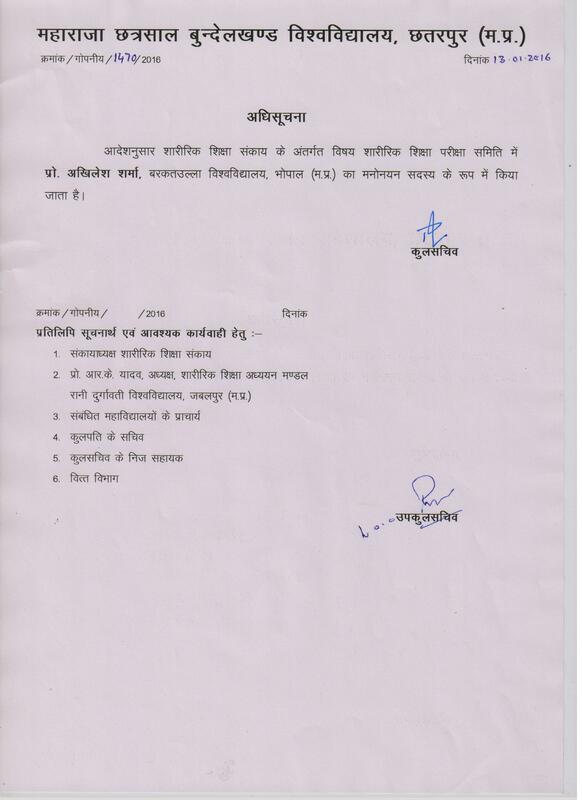 08 Nov 2015 Revised Notification the exam MBA/M.P.Ed. 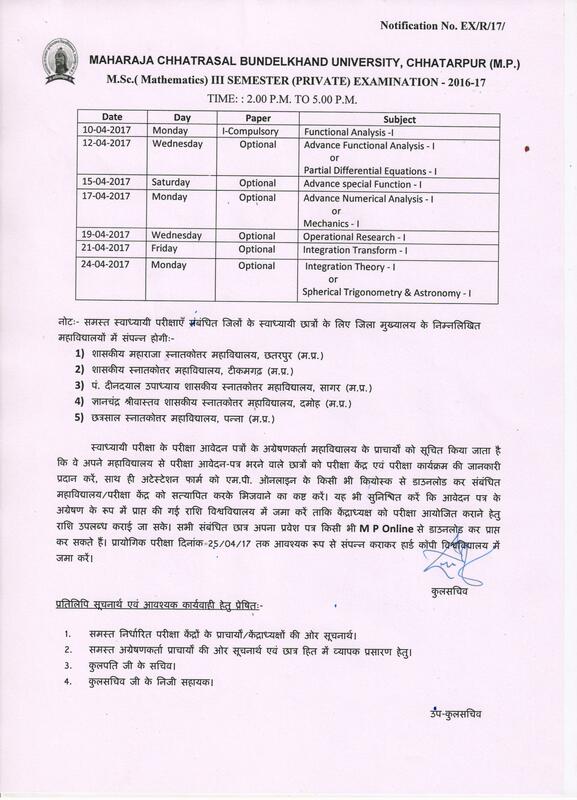 & Other Courses Examination form filling date is extended to 13/11/2015 without late fees and 16/11/2015 with late fees.